Located in the heart of beautiful Northeastern Pennsylvania, Clearbrook Treatment Centers have been helping patients from all over the state overcome their drug and alcohol addictions for more than 40 years. Only a short car trip from the Philadelphia, Allentown, and Pocono areas, Clearbrook is nationally recognized as a leader in addiction treatment. Our Pennsylvania drug treatment center provides a private and peaceful environment that allows patients to recover free from the distractions of everyday life. Whether you are an addict or you are watching a loved one struggle with the disease, you understand that addiction can be difficult to deal with. Addiction can quickly destroy not only the life of the addict but also the lives of those around them. Once you are able to recognize that you have a problem, you can take that first step on the road to recovery. While it may be a long and somewhat bumpy road at times, we will be here to walk with you throughout the entire process. At Clearbrook, we believe “Patients Come First,” and our dedicated and experienced staff members will do whatever it takes to get you back on your feet. At our Pennsylvania drug treatment centers, we offer a variety of services to create an individualized approach to overcoming your addiction. We have patients that require our help with an array of situations, which can include the help of an alcohol rehab, prescription drug addiction treatment, or suboxone withdrawal. 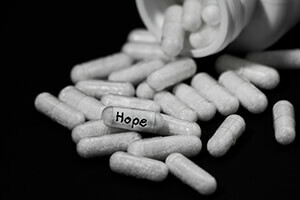 Our medical drug and alcohol detox center will start by working on your body’s dependence on the drug. We provide residential treatment for our drug rehab in Pennsylvania to give our patients a safe and nonjudgmental environmental. Part of the treatment process will also include therapy to help you understand addiction and why you became an addict in the first place. Our one-on-one counseling as well as group therapy sessions are utilized to help our patients feel as comfortable as possible. We offer family programs to help your entire family unit move forward with their lives. By the time you leave our rehab center in Pennsylvania, you will have all the tools you need to continue your drug and alcohol addiction recovery. If you struggle from a drug or alcohol addiction, do not wait any longer. Our inpatient detox center in Pennsylvania has the professional help and treatment programs you need to get started. From here, we will work with you to help you transition back into a normal and sober life. The only way to defeat your addiction is to fight back. Contact our Pennsylvania drug treatment center today at to get started immediately on your journey to a better and healthier life.